Looking for an opportunity to grow with a team focused on professionalism, honesty, and expertise? 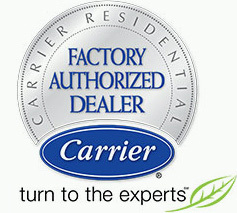 We look for service technicians dedicated to providing the best service to our customers in every way. Whether they are repairing or maintaining an HVAC system, our experts have the technical skills and knowledge to provide cleaner, colder, more comfortable air while also easily communicating with homeowners and business owners. We look for highly organized and personable individuals who have the ability to balance a variety of tasks daily. Join the Palm Air Team! At Palm Air, our success depends on more than just the quality of our products. That’s why we look for motivated, honest and skilled team members who want to help us be the best HVAC contractors in the Boca Raton area. We know our achievements couldn’t have happened without the help of our employees. If you have the drive to succeed and excel with a company who values its team members, a position with Palm Air could be the right fit for you. To learn more about us before applying, check out our company’s goals and values. We look for service technicians dedicated to providing the best service to our customers in every way. Experience and talent for working with people is a must. Whether they are repairing or maintaining an HVAC system, our experts have the technical skills and knowledge to provide cleaner, colder, more comfortable air while also easily communicating with homeowners and business owners. 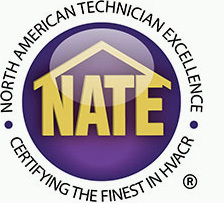 As a provider of countless new AC systems each year, our installations require efficiency, accuracy, and expertise. That’s why we look for technicians who have the experience and passion for working with the latest and greatest systems available in the industry. If you think you have what it takes, send us your resume. Our office administrators play a vital role in keeping our company running smoothly. We look for highly organized and personable individuals who have the ability to balance a variety of tasks daily. Previous customer service or administrative experience required. Apply Today and Help Us Grow! Does one of our positions seem like it would be perfect for you? Take the next step and apply today!